Statoil has awarded two new, long-term contracts with estimated value of NOK 11 billion for insulation, scaffolding and surface treatment services to Beerenberg Corp AS and Prezioso Linjebygg AS. 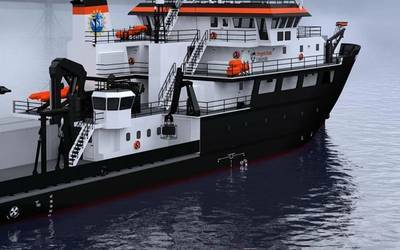 They will provide services to 20 of the company’s 29 installations on the Norwegian continental shelf (NCS) when the contracts take effect. Carried out on all installations on the NCS, as well as all onshore plants in Norway, these services have ripple effects in many parts of the country. Taking effect in the first quarter of 2016, the contracts have an estimated total value of NOK 11 billion over the 15-year contract period. The two new contracts will replace the company’s existing contracts with these two suppliers regarding NCS services. Statoil has also contracts with Bilfinger Industrier and Kaefer Energy, which the company intends to extend by exercising its contract options at a later date. “The suppliers understand the industry challenges and want to help solve them. Beerenberg Corp AS and Prezioso Linjebygg AS have during the renegotiations expressed that they focus on permanent improvements as well as quality and cost,” says Jon Arnt Jacobsen, senior vice president for procurements in Statoil. During the renegotiations the company maintained a close dialogue with the suppliers to achieve the best commercial and technical solutions and to secure sustainability and good profitability. “These contract awards mark an important milestone in the long-term improvement effort within insulation, scaffolding and surface treatment services. Beerenberg Corp AS and Prezioso Linjebygg AS have competitive deliveries, and with these long-term contracts we ensure a predictable and clear contribution to the cost reductions we want to achieve together,” says Kjetil Hove, senior vice president for operations technology of Development and Production Norway. Below is a list of the installations covered by the two new contracts. For the NCS installations not listed the existing contracts for insulation, scaffolding and surface treatment services will continue.